When I think of apple pie I think of family gatherings and home. Every holiday my grandmother would make apple pies and many other desserts and my youngest sister has carried on the tradition. In fact she not only makes apple pies, but these fancy mixed berry ones. They’re so good!! I just don’t have the time to spend making pies all day. The other day I was craving something sweet like Apple pie. 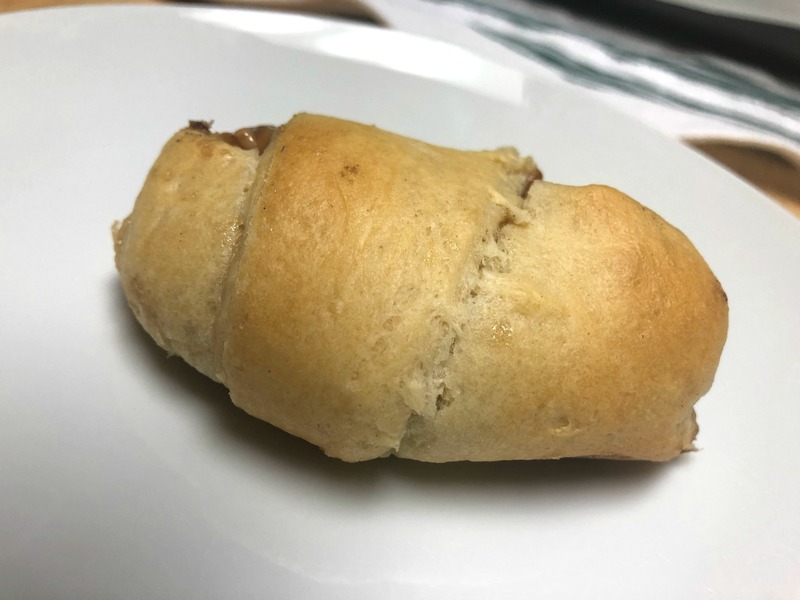 I had a can of Pilsbury Crescent rolls in my fridge and had an idea. I started by coring an apple then brushing it with melted butter. 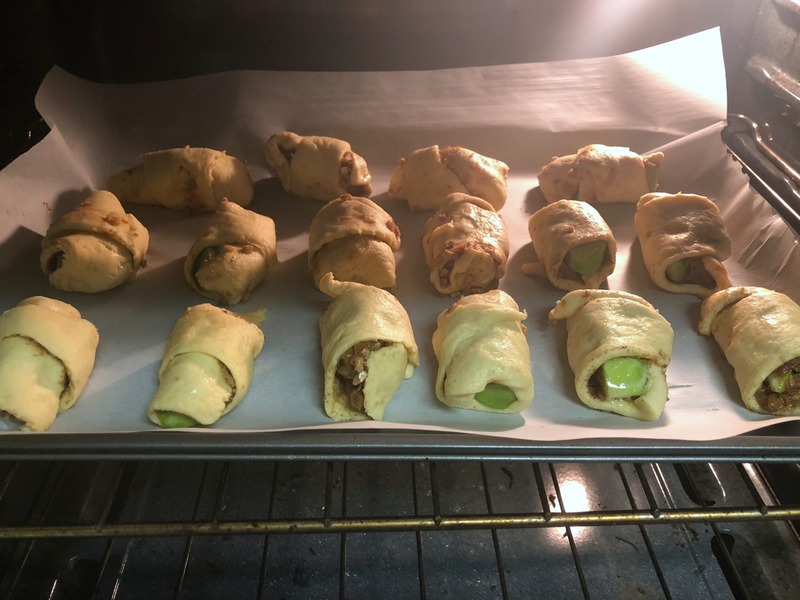 I put an apple into each crescent roll triangle of dough. Then I got more creative. I wish that I took pictures of all the steps, but I honestly had no plan and wasn’t sure they’d turn out I guess that just means I need to make them again! I drizzled them with dulche de leche and then sprinkled heath chips. 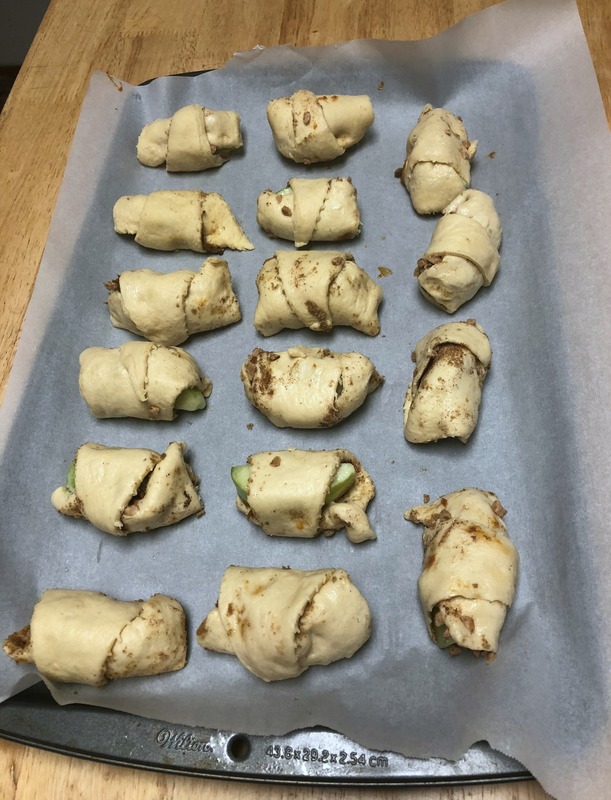 I then rolled them up and sprinkled them with apple spice seasoning. I baked them for the time posted on the package. They were really messy, but they were so good! They were delicious! I’m excited to try some new variations on them too. This recipe was pin worthy! Mini Caramel Apple Pies. The name alone makes my mouth water! The idea of using Heath chips was excellent and I’m sure quite tasty! I think I would experiment with this recipe myself! Thank you for sharing! This recipe was pin worthy! 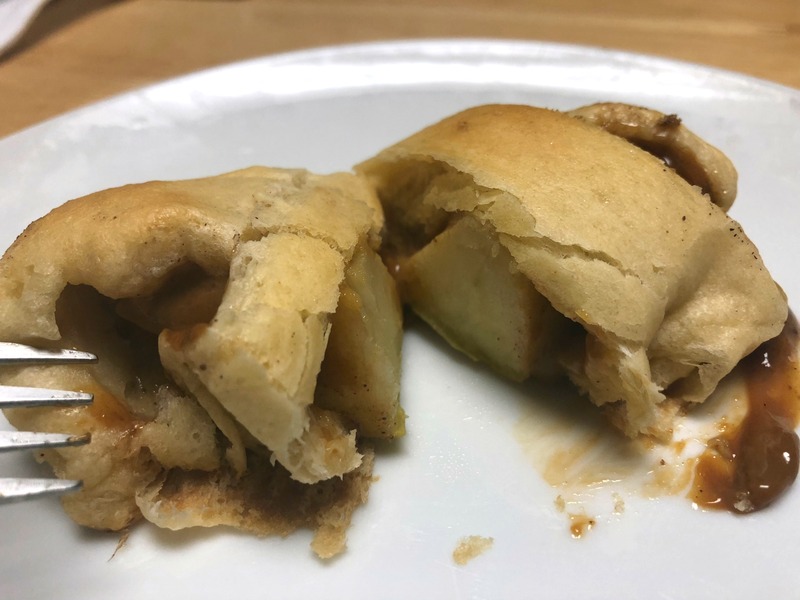 Mini Caramel Apple Pies ? The name alone makes my mouth water! The idea of using Heath chips was excellent and I’m sure quite tasty! I think I would experiment with this recipe myself! Thank you for sharing! These look so good, going to be trying, thank you. These sound delicious! 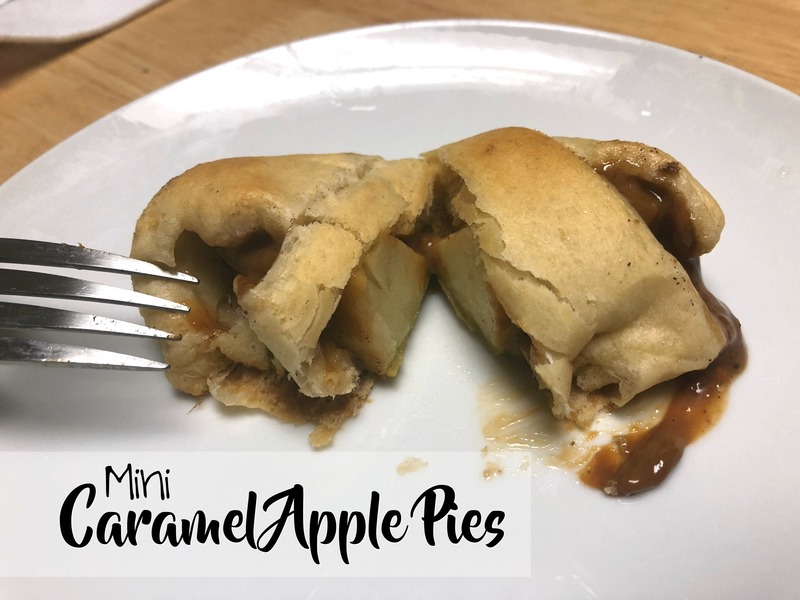 I love the idea of making mini apple pies, and the caramel is definitely what makes them! 🙂 Thank you so much for sharing! Love this! It looks so tasty!